Awesome looking and hard to find stuffed animal mastiff dog. 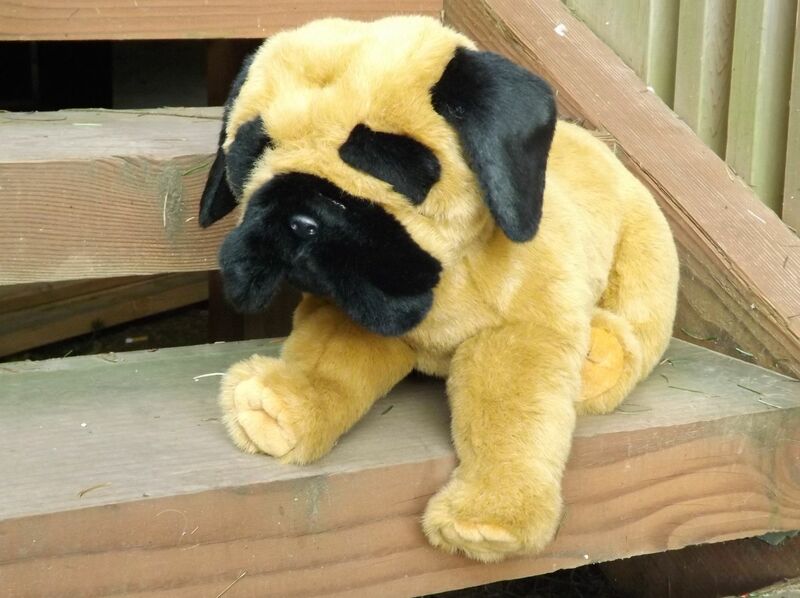 This cool and realistic looking English mastiff stuffed dog is about 18″ in overall size and has an adorable and realistic looking face. This adult plush mastiff has light brown fur, and an adorable dark muzzle and wrinkled forehead. This high quality mastiff stuffed animal dog is one of the unique and proprietary designs of This Place is a Zoo.